Recommended resources for research related to entrepreneurship, startups and commercialization: from science and technology literature to market research and patents. Want hands-on support and advice building your app at U of T? Contact the MADLab. Want help researching the apps market or a particular industry or segment? Contact your Entrepreneurship Librarian. Gartner article (2018) walks through the process of designing an MVP for a mobile app and determining its cost at an early stage. Must log in with UTORid for access. 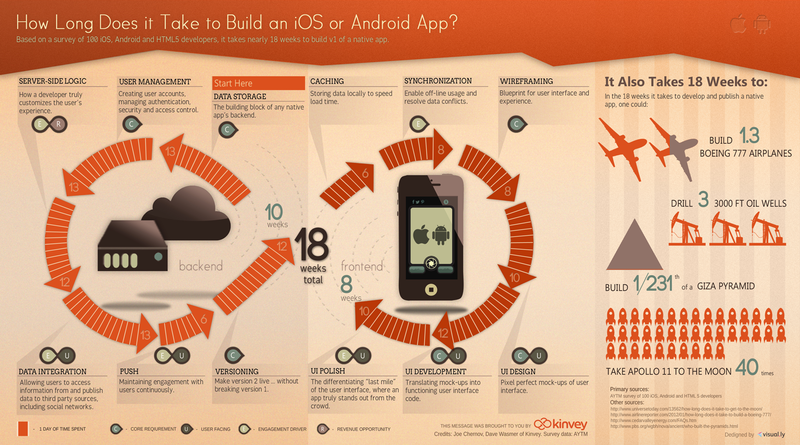 2015 blog post on the range of options for app development available to non-programmers with an app idea. Browse profiles of app developers for hire, including average fees. Are app development costs decreasing in 2016? Research firm Clutch.co surveyed 12 iPhone app development companies to identify cost ranges and key variables that contribute to the cost of iPhone apps. Want to create the next Tindr, Uber, What’sApp, or Periscope? Find out how much it will cost you to develop an app with features similar to these and others. Numbers here reflect budgets for larger enterprises rather than startups or students on a shoestring. Need inspiration for the visual design and layout of your app? Pttrns has thousands of screenshots of real apps organized by category. Find out what Apple has to say about designing great apps that are easy to use. Follow Apple’s walkthrough to create your first iOS app. A comprehensive list of free resources on hundreds of programming languages available via Github. Follow these blogs by professional iOS developers to keep up with the latest notable topics in app development, from App store marketing advice, to deep discussions on programming languages. Mary Meeker at VC firm Kleiner Perkins Caulfield Byers releases an annual report on internet and mobile trends. 2015 report from media measurement firm focuses on consumption and audience behaviours on mobile and multi-platform usage. More app-related research from ComSCORE can be found here. Key findings include global revenues, app store downloads, key market growth, and leading categories. Global and country level data and research provided by international mobile operator association. Sign up required for free public account, with some content held behind paywall. Research on mobile marketing from a non-profit trade association representing over 800 companies and brands worldwide. An advanced search for "Marketline AND mobile app" produces reports for US, China, Global and companies within the industry. Note: UTORid required for access. Includes TechNavio reports on mobile apps market. Specify "TechNavio" under source and search "mobile application". Note: requires UTORid for access. 2015 report by Flurry by Yahoo, based activity across 92,000 Canadian devices in March 2015. Information and Communications Technology Council (ICTC) report highlights jobs created by mobile apps industry, including forecasts to 2019. Retail Council of Canada and PwC research includes statistics on mobile apps and purchase behavior. Facts and figures on wireless phone subscribers in Canada, provided by an industry advocacy group.